Points can be spent like cash. Pay with convenience. Go cashless. Pay with points and preloaded cash. Earn points instantly at participating stores by scanning your QR code on the City Rewards app or tapping your City Rewards card at checkout. Once you spend Ks 30,000 within any 30 day period, you can start using the points that you have earned to spend at participating merchants. A point is worth a Kyat. All points expire in a year's time. How to use the cash wallet? 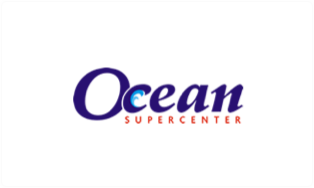 City Rewards come with a cash wallet which you can load at the Customer Service Counter of any City Mart Supermarket, marketplace by City Mart and Ocean Supercenter. You can also link the balance of your City Gift Cards into your cash wallet via the City Rewards app. You can use your balance just like cash at any participating stores. Have a City Rewards card and want to use the app? Just download the app via the links below, open the app, select I'm a Member and click on Register Physical Card. Follow the simple on-screen instructions and you can now use City Rewards on the app and card. Once you spend Ks 30,000 within any 30 day period, you can start using the points that you have earned to spend at participating merchants. A point is worth a Kyat. All points are valid for a year. Just download the app via the links below, open the app, select sign up and select Register physical card. Follow simple on screen instructions and you can now use City Rewards on the app and card. How do I become a City Rewards member? Get our App from the App store free of charge or get the physical card at the Customer service with a price of 3,000 Kyats and register it with your NRC number/Passport number, phone number. You need to be of age 16 years and above. Can I apply for a City Reward card if I am not a Myanmar citizen? Yes, you can. Just register with your passport number and your Myanmar mobile number. Why do I need to register with my NRC or passport number and mobile number? We require that you register with your NRC or passport number for security purpose. Providing us these details enables us to assist you to reset your password or pin if you have forgotten it or to lock your account if you misplace your mobile phone or City Rewards card. With your mobile number we will also simplify the app login process and we will be able to send you special notifications and unique offers meant only for you. Will the cash balance in City Gift expire? It will not expire after you link your City Gift card to your City Rewards account via the app. One of my family members has passed away. Can I change their card to my name so that their points aren’t lost? No. The Personal Data Protection Act prevents us from changing any details on a card without the owner’s consent. You can have the points transferred to your existing card or new card. However, the request for this must be in writing. Please submit your request with a copy of the death certificate to: City Reward Customer Service, cityrewards@cmhl.com.mm. 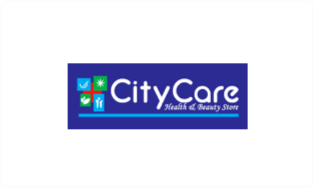 Alternatively, you can email your request and to cityrewards@cmhl.com.mm. Please include your account details (account number, name and NRC number) and deceased account details with a scanned copy of the death certificate in your email. Enjoy the benefits of City Rewards in just 2 steps. Download the app via the links below, register your particulars and its ready for use! At the end of 30 days, 10 highest spenders will be selected in a lucky draw to win 10,000 points each to double the happiness! 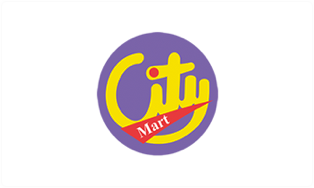 City Rewards is City Mart Holding Company's customer loyalty programme which is accepted across all its retail stores, City Mall Online and participating merchants. Anyone of or above 16 years of age may sign up for City Rewards. You must provide your full name as it is stated on your Myanmar National Registration Card (NRC) or passport, the number of your NRC or passport and your correct mobile phone number. The purpose of requesting this information is to verify your identity should you lose your account details or would like to terminate your account. Downloading the City Rewards application (the app) and registering for it is free. However, if you wish to have a physical card, we charge a small fee of 3000 Kyats for it. You can get a City Rewards physical card at the Customer Service desk. 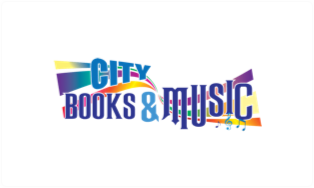 By registering for City Rewards, you consent to receive promotional communication and newsletters from CMHL. You may only sign up for one account. We reserve the right to refuse, merge or close additional accounts at any time. Please note that your account is not transferable. 1 point will be awarded for every transaction of 200 Kyats (inclusive of commercial tax) paid for in cash at Participating Outlets. You must present your City Rewards app or card at the time of payment to have the points credited to your account. We cannot credit points after the time of payment. Points expire one year after the date on which they have been earned. If a transaction is voided or a refund takes place, we reserve the right to deduct the points earned from that transaction. You can only begin spending City Rewards points once you have collected 100 points and above. Therefore, 100 points may be redeemed in Participating Outlets for purchases of 100 Kyats by the account holder on presentation of your City Rewards app or card, apply a 1 point = 1 Kyat conversion rate. If the purchase value is greater than the value of the points you have in your account, you may pay the difference in cash. No change may be given on redemptions. For example, if the transaction amount is 150 Kyats, you must redeem 200 points and will not receive any points back. The points which are earned first will be recorded as having been spent first. Points are not convertible into cash. You may load cash into your City Rewards account for your convenience at any customer service counter in Participating Outlets. The amount of cash you have loaded and not spent is called your “Cash Balance”. Your Cash Balance will never expire if you are using the app (physical cards are different – see part 7 below). You may spend your Cash Balance in Participating Outlets by presenting your City Rewards app or card. Your Cash Balance is not refundable nor may it be converted back into cash. You may transfer all or part of your Cash Balance to another member of City Rewards in the form of a City Gift Card by following the steps on the app and only in denominations of 1,000 Kyats and above. 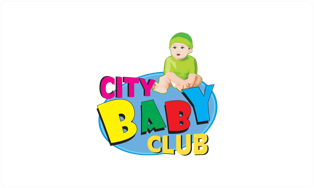 Our system does not allow for the generation of City Gift Cards below 1,000 Kyats. When you decide to do so, the City Rewards app will generate a virtual City Gift Card of your transferable points in your app that you can choose to transfer to a contact via our 'Social Gift' section. Once the transaction is authenticated, the virtual gift card will appear in your contact's City Rewards app. They must have a registered City Rewards account to receive the same. You must know the recipient's correct and registered phone number to make the transfer. Please ensure that you have the correct details of the recipient. Once a transfer has occurred we cannot reverse the same completed process. 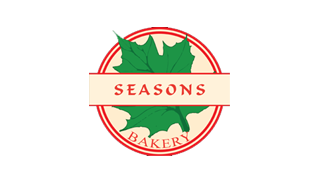 From time to time, we may send you coupons, surprise gifts including birthday gifts, special offers and invitations to events (“Benefits”). These Benefits are personal to you and may not be transferred to other members. The Benefits are tailored for you based on your preferences and so you may receive different benefits from the other members. All benefits during your lifetime of experience with City Rewards are non-transferable. 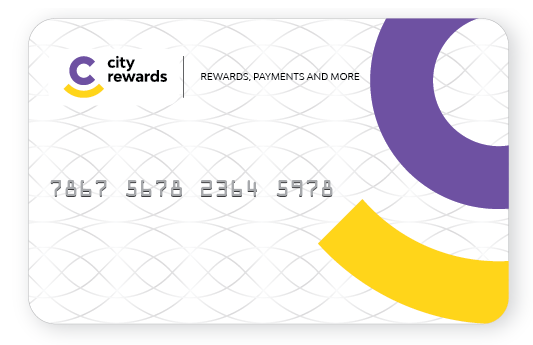 Any number of physical City Gift cards may be loaded on to your City Rewards account. We encourage you to use the app to access the full benefits and features of City Rewards. In future, we hope to also allow other partners and participating merchant gift cards into the app. The cash loaded onto a physical gift card will expire after 1 year effective from the date of loading. We strongly recommend you begin using the City Rewards app and load the same virtually, function via the 'Add A New Card' function. That way, we can help you keep track of all your transactions, balance and cash, even in case of loss/damage or other contingencies. Please beware that physical City Gift cards have no PIN and cannot be replaced if lost. You should keep your card safe at all times and not reveal the QR code and serial number to anyone. For enhanced security, we strongly encourage you to sign up for the app and load your gift card to your City Rewards account. In case of loss of physical City Gift card, we recommend calling our City Reward Hotline to block the card at the earliest. For this reason, we recommend either loading it on the app or keeping it as safe as possible. You can earn points, spend points and load cash at any outlet listed on the app as a “Participating Outlet”. Refer to the "Stores" section of the app for the most up-to-date list of “Participating Outlets”. Although CMHL aims to offer the best service possible, CMHL makes no promise that the service of City Rewards will meet your requirements. CMHL cannot guarantee that the service will be fault-free. If a fault occurs in the service, you should report it to participating outlets' Customers Service or City Rewards Hotline and we will attempt to correct the fault at the earliest. Your access to City Rewards may be occasionally restricted to allow for repairs, maintenance or the introduction of new facilities or services. Rest assured we will do the same during a time convenient to most customers so as to cause minimum discomfort. 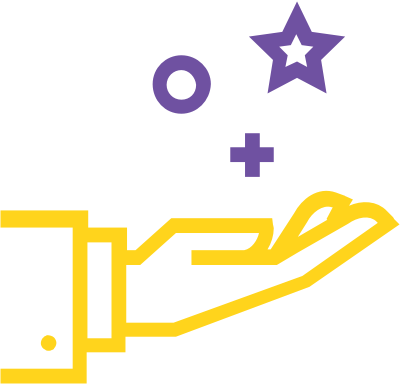 The contents of City Rewards are the sole property of CMHL and may not be copied, reproduced or used for any commercial purpose without the express consent of CMHL. You may not use the City Rewards trademark or any other trademarks of CMHL without the consent of CMHL. you do not use your account for an extended period of three years and/or more. you breach any law or regulation in the course of using City Rewards. If your account is cancelled your points earned and Benefits will also terminate and you will have no further right to access them. We reserve the right to terminate the City Rewards scheme and amend these Terms and Conditions at any time without prior notice. You will be subjected to the Terms and Conditions in force at the time that you use City Rewards for any purpose. If any of these Terms and Conditions is deemed invalid, void or for any reason unenforceable, that condition will be deemed severable and will not affect the validity and enforceability of any remaining condition. We respect your data privacy rights and are committed to complying with all data protection laws in Myanmar. We use optimum security measures to keep your data safe and monitor your account usage to make sure it has not been compromised. We will use your data to offer you personalized benefits and to make your customer experience better. We will only share your data with trusted partners who also are under the same obligations to protect your data. These Terms and Conditions shall be governed by and construed in accordance with the laws of the Republic of the Union of Myanmar and any disputes will be decided only by the courts of and in compliance with the laws under the jurisdiction of the Republic Union of Myanmar. CMHL makes no promise that City Rewards is appropriate for or available to use outside the Republic of the Union of Myanmar. If you choose to access City Rewards from locations outside the Republic of the Union of Myanmar you do so at your own risk and are responsible for complying with local laws. When you register for the City Rewards you will be asked to create a Personal Number (PIN). You are responsible for keeping your PIN confidential. You are responsible for all activities and payments that occur under your PIN. You should inform us immediately if you have any reason to believe that your PIN has become known to anyone else or if your account is being used in an unauthorised manner. Therefore, 100 points may be redeemed in Participating Outlets for purchases of 100 Kyats by the account holder on presentation of your City Rewards app or card, applying a 1 point = 1 Kyat conversion rate. If the purchase value is greater than the value of the points you have in your account, you may pay the difference in cash. No change may be given on redemptions. For example, if the transaction amount is 150 Kyats, you must redeem 200 points and will not receive any points back. You may load cash into your City Rewards account for your convenience at any customer service counter in Participating Outlets. The amount of cash you have loaded and not spent is called your “Cash Balance”. Your Cash Balance will never expire if you are using the app (physical gift cards and different – see part 7 below). You may transfer all or part of your Cash Balance to another member of City Rewards in the form of a City Gift Card by following the steps on the app and only in denominations of 1,000 Kyats and above. Our system does not allow for the generation of City Gift Cards below 1,000 Kyats. When you decide to do so, the City Rewards app will generate a virtual City Gift Card of your transferable points in your app that you can choose to transfer to a contact via our ‘Social Gifting’ section. Once the transaction is authenticated, the virtual gift card will appear in your contact’s City Rewards app. They must have a registered City Rewards account to receive the same. You must know the recipient’s correct/registered phone number to make the transfer. Please ensure that you have the correct details of the recipient. Once a transfer has occurred we cannot reverse the same. 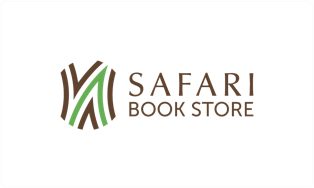 From time to time, we may send you coupons, surprise gifts including birthday gifts, special offers and invitations to events (“Benefits”). These Benefits are personal to you and may not be transferred to other members. The Benefits are tailored to you based on your preferences and so you may receive different Benefits from other members. In case of loss of physical City Gift card, we recommend calling our Customer Care desk to block the card at the earliest. For this reason, we recommend either loading it on the app or keeping it as safe as possible. You can earn points, spend points and load cash at any outlet listed on the app as a “Participating Outlet”. Refer to the “Stores” section of the app for the most up-to-date list of “Participating Outlets”. We reserve the right to terminate the City Rewards scheme and amend these Terms and Conditions at any time without prior notice. You will be subject to the Terms and Conditions in force at the time that you use City Rewards for any purpose. If any of these Terms and Conditions is deemed invalid, void or for any reason unenforceable, that condition will be deemed severable and will not affect the validity and enforceability of any remaining condition. If the City Rewards scheme is terminated you will have no rights to points earned or Benefits which will also terminate. You can request further action by calling our Customer Service desk.